Shabaka Hutchings has quickly been becoming one of the leaders of modern jazz and specifically of the London jazz renaissance that’s been spreading outside of the UK and really catching on here in the States too. He leads the bands Sons of Kemet and Shabaka and the Ancestors, he has worthy solo work, he’s played as a sideman for the Sun Ra Arkestra, Floating Points, Makaya McCraven, and more, and he’s one third of The Comet Is Coming (alongside keyboardist Dan Leavers and drummer Max Hallett). Trust In The Lifeforce Of The Deep Mystery, The Comet Is Coming’s second album and first for the legendary Impulse! Records (once home to John Coltrane, Alice Coltrane, Charles Mingus, and many other greats), comes out this week, and it’s one of the most genre-defying projects Shabaka has done yet. While Sons of Kemet — who had one of the most universally acclaimed albums of last year (also on Impulse!) — lean Afrobeat, The Comet Is Coming are closer to ’60s psychedelia and ’70s space rock. 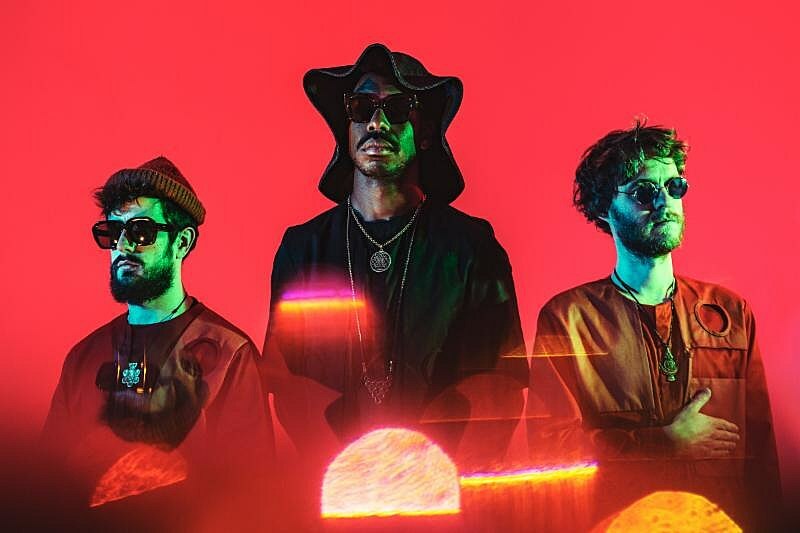 It’s some of the most far-out music that Shabaka makes, and it really takes you on a trip the way the OGs of psychedelic music did decades ago. The rhythms are all over the place, varying from more traditional jazz styles to blissed-out and atmospheric to a little of Sons of Kemet’s Afrobeat to driving rock and pop rhythms (on “Summon the Fire”). The album is instrumental except for when rapper/spoken word artist Kate Tempest leads the way on on the eight-minute “Blood of the Past,” and while her appearance is a huge highlight, The Comet Is Coming don’t need words to keep your ears glued to the speakers. This isn’t music that falls into the background; it’s music that grips you and takes you away and abruptly drops you back to earth when its 45 minute running time ends. You can stream the full album at NPR and watch BBC live sessions for the aforementioned “Summon The Fire” and “Blood of the Past” (without Kate Tempest) below. The Comet Is Coming will be in Austin for SXSW this week where they have three official shows. After that, they’ll play some headlining US shows before hitting Knoxville, TN’s Big Ears Festival. They’ll also be back in North America in June for Bonnaroo, Sled Island, and more headlining shows. Right after SXSW, they’ll come to NYC for a show on Monday, March 18 at Mercury Lounge (tickets). All dates are listed below.